Reflecting on the recent evolution in Canadian indie film, celebrating rising talent and saying goodbye to an influential industry executive. I recently had a conversation with someone who has loomed large in our indie-film coverage in the past five or six years and they were ruminating on how tough it is to be a filmmaker in Canada today. We talked about the pop-culture indie heyday of the ’90s (we are of that age), when Kevin Smith was a DIY hero and Mallrats felt big-budget (Shannen Doherty!) compared to Clerks. It’s of that era too, you’ll find Atom Egoyan waxing a little bit nostalgic about in his Playback Canadian Film and Television Hall of Fame profile (coming soon online), as he wonders whether his 1994 critical hit Exotica would “survive the financing process” today. But just as Mr. Egoyan is not one to dwell in the past – unless it is, of course, the past represented by his incredible collection of career memorabilia – neither are a new crop of filmmakers itching to see the indie scene revitalized in this country. 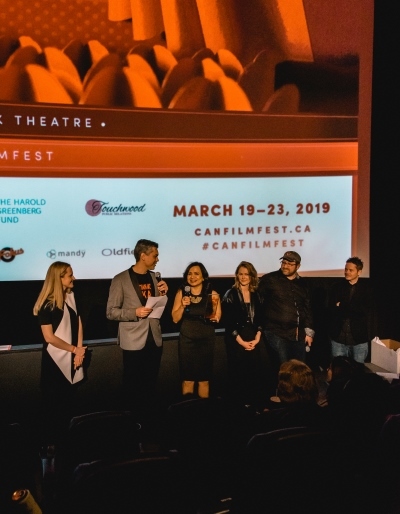 With the rising cultural recognition of underrepresented voices, combined with the indefatigable enthusiasm of filmmakers like Matt Johnson and Matthew Miller of Zapruder Films, Canadian film is having a moment of reckoning. 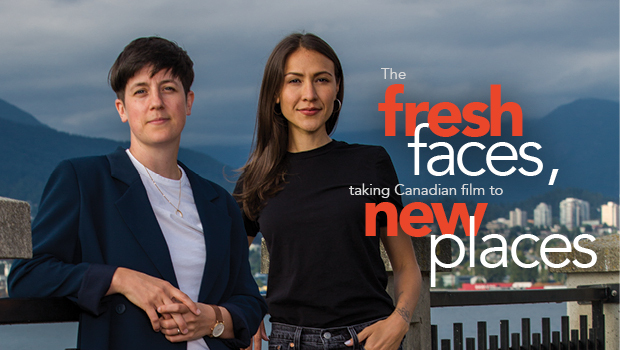 And the can-do attitude of this next generation of filmmakers, including this issue’s cover stars Kathleen Hepburn and Elle-Máijá Tailfeathers, is infectious. 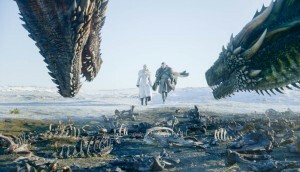 That genuine excitement for the process of filmmaking and the thrill of a big-screen debut, sums up why film festivals remain a vibrant, and one could argue, increasingly important component of the film ecosystem. Not only are they a rare chance for niche/cult/indie/up-and-coming filmmakers to screen alongside big names, on big screens and in front of big, highly engaged audiences, they let everyone feel that same excitement for a few hours. There’s really nothing like seeing something you know to be special unfolding on screen for the first time, especially in the company of those who made it. 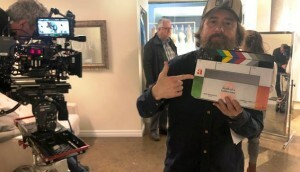 It’s a thrill you want young, up-and-coming filmmakers to experience, which is why there seems to be so much hope and buzz behind Telefilm’s new Talent to Watch program, spearheaded by Johnson and Miller. And it’s partially what inspired the cover of this issue: it just feels like a moment where things can actually happen, where busy and ambitious filmmakers like Hepburn and Tailfeathers can make a mark with their art. It hasn’t always been the case and these women are representative of the “new voices” we hope will soon be the norm. I’m sure it is with bittersweet emotion that outgoing TIFF CEO Piers Handling says goodbye to his official role in the world of indie films, festivals and the excitement and hoopla that surrounds them. But what a legacy he leaves. Under his watch, TIFF has superseded its role as a Canadian film festival and joined the rarified global ranks of must-attend cultural events. It is something we should all be proud of as Canadians: as much as it takes place here, it’s a genuine cultural export. And there’s just nothing like the buzz of TIFF time in the city – you can feel it in the air and everything just seems a little glitzier, a little more glamorous and a little more special. I think Toronto needs it this year more than ever. So, thank you Piers – and Michele Maheux! - for all your passion and hard work. It’s a gift that will keep on giving to the city for many years to come. 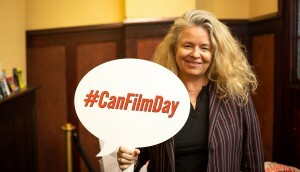 How to solve a problem like Canadian film viewership?